The Infinix S4 also known as the Infinix Hot S4 has now been launched for Infinix lovers with exciting specs. 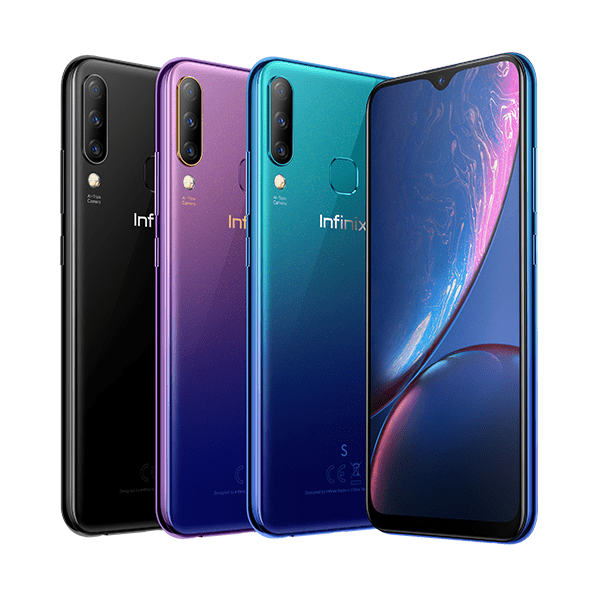 The phone is the successor to Infinix S3 from last year. Running Android 9.0 out of the box, the Infinix S4 is the first the company to have that upgrade. It also comes with a water drop style notch at the top, and a triple rear camera setup lined vertically. Now, let’s check all the Infinix S4 is coming with. From the top side of the screen is the water drop styled notch, resting on a full view 6.2-inch Full HD+ display. Looking closer is the embedded camera hiding inside the water drop notch. On its design from the back, the camera lenses are lined up vertically from the top left corner. The fingerprint sensor takes the usual centre position of the top part of Infinix phones. The Infinix logo comes right under the fingerprint scanner. The Infinix S4 has its power and volume adjustment buttons on the right-hand side. The Infinix Hot S4 is powered by a non-removable Li-Ion battery. The battery has a capacity of 4000 mAh. Standby time is not known right now. But looking at how other Infinix phones perform, the battery would last a full day from a 100% charge, at least. No need for long hours to charge this phone, there is support for fast charging for the Infinix S4. On the rear side, the Infinix S4 possesses a triple camera system. The lenses at the back are 13MP, 8MP, and 2MP. This is perhaps going to attract buyers. 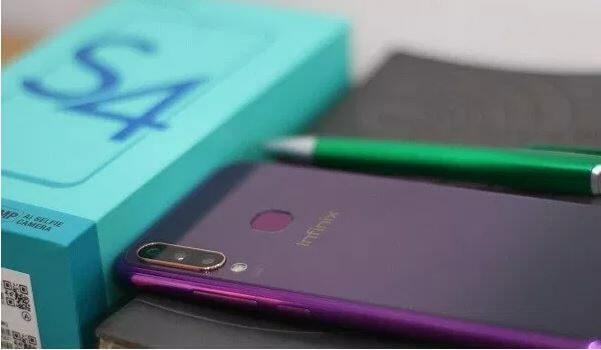 The Infinix Hot S4 is also the first Infinix device to come with a triple camera system on its back. The cameras are arranged vertically with a Quad-LED flash below them. From the front side, the water drop notch houses the selfie camera. The selfie camera is 32MP and comes with exciting features. Its features include Portrait mode, Auto-HDR, Geo-tagging, Touch focus, Face detection, Panorama and 1080 @ 30fps. Inside the Infinix Hot S4 is a MediaTek Helio P22 chipset. The chip has four cores of the Cortex-A53 processor clocking up to a speed of 2.2GHz. On the software side, the Infinix S4 runs on the latest stable Android OS —the Android 9.0 Pie. The UI on the Infinix S4 is the v5.0 Cheetah of Infinix’s own XOS Skin. The Infinix Hot S4 comes with two variants based on the internal storage. There is a 32 GB option as well as a 64 GB model. With the RAM, there are two options as well: a 3GB RAM and a 6GB RAM. 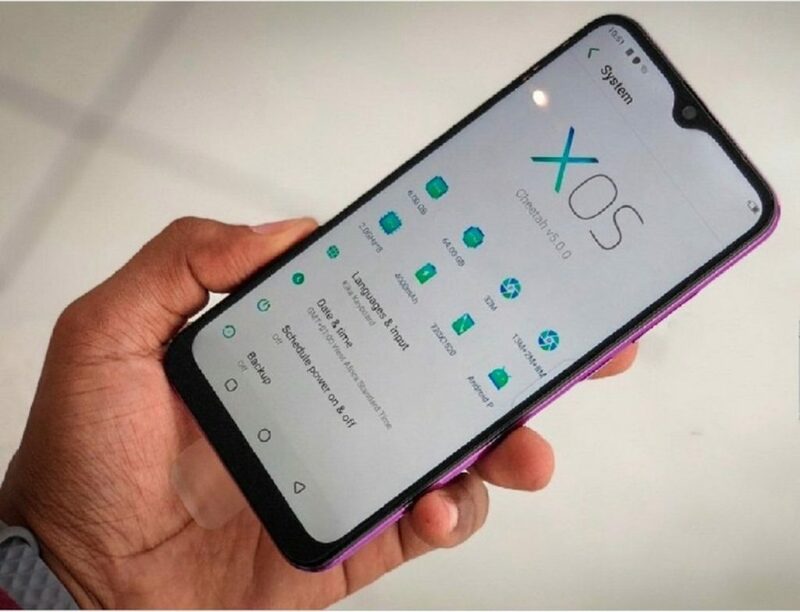 The price of the Infinx S4 is projected to sell at GHS 699 for the 3GB RAM/16 GB Storage model and GHS 899 for the higher end 3GB RAM/16 GB Storage model.